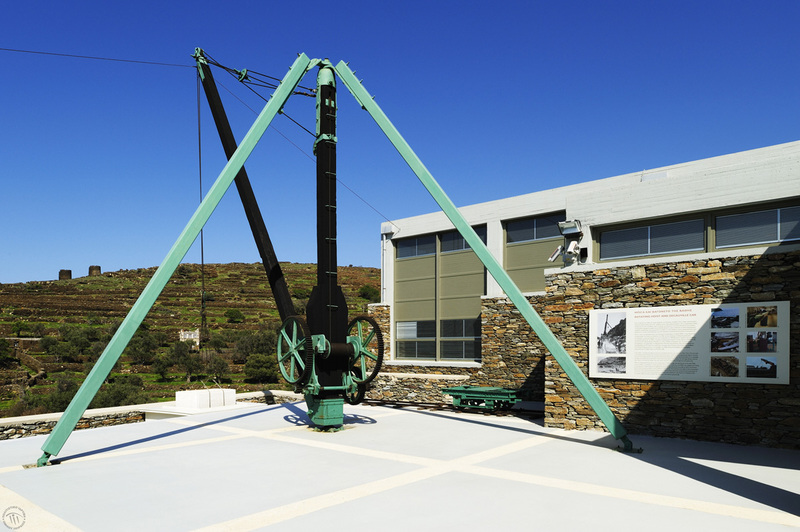 The Museum of Marble Crafts, in Pirgos, on the island of Tinos, is a unique example presenting the technology of marble, a material that holds a particular place in the architecture and art of Greece, from antiquity through to the present. 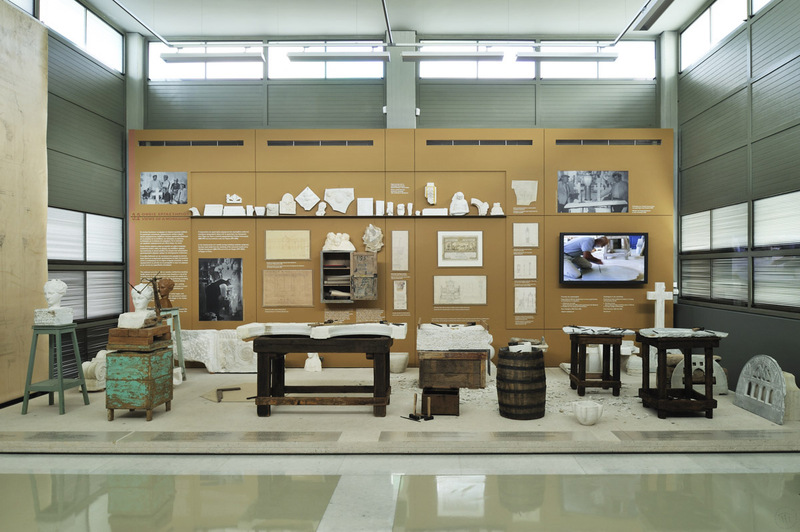 The permanent exhibition, which describes the intricate meshing of tools and techniques used in working marble in a detailed and live manner, puts an emphasis on the pre- and proto- industrial Tinos, the most important centre of marble crafts in Modern Greece. In parallel, it highlights the social and economic context that the local workshops evolved in. Sketches of old marble carvings by master craftsmen (the richest collection in Greece). The exhibits are flanked by interconnected representations of a quarry, of a marble-craft workshop and the assembly/positioning of a bishop's throne. 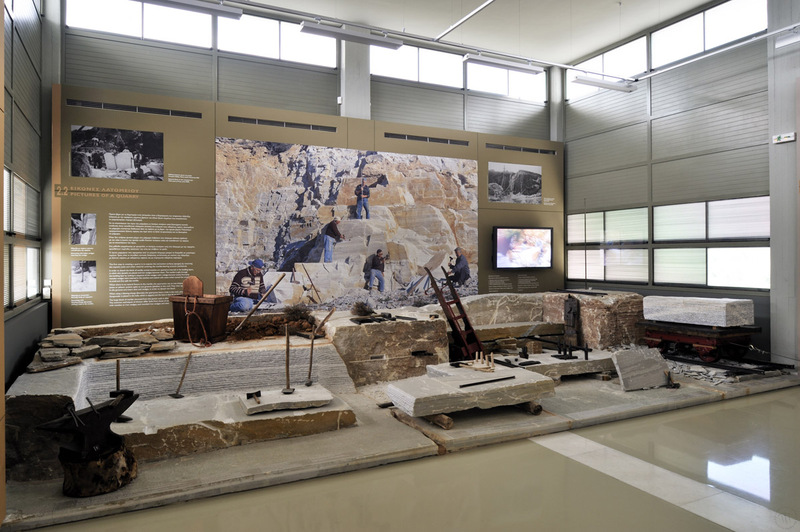 The exhibition's audiovisual material brings to life the traditional work methods of the quarryman and the marble craftsman. 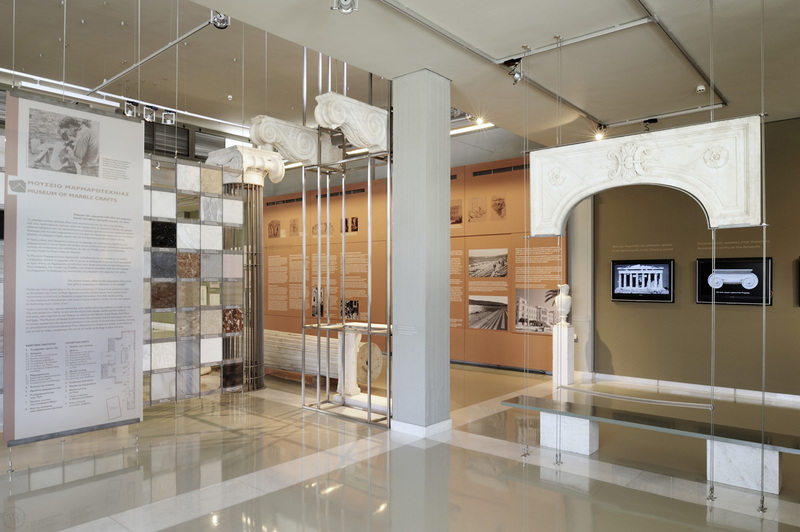 After the technological itinerary of marble, the exhibition presents, through abundant audiovisual material and original artefacts, the social and economic side of this craft, the categories of its products, the historical trajectory of marble carving and sculpting in Tinos, as well as the contribution of Tinian marble craftsmen to the construction of Athens and other towns in the 19th century. 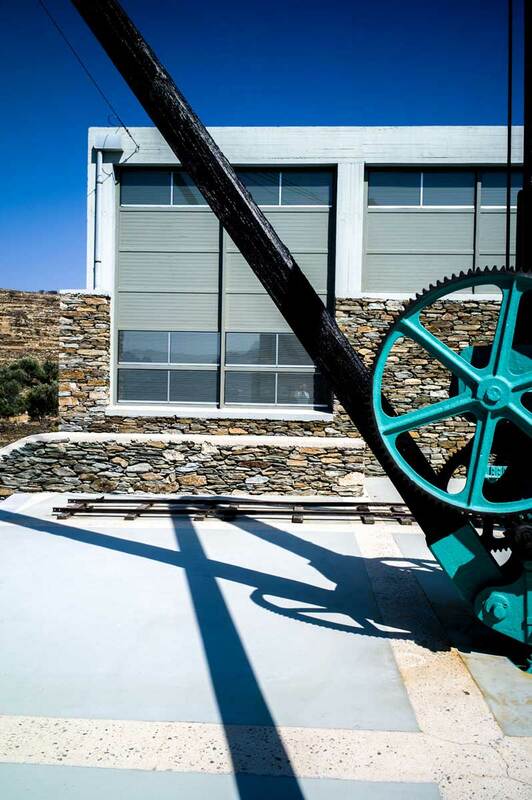 The intense presence of marble across the width and breadth of Tinos is recorded in the images of a travelogue, which incites you to go on your own discovery missions of the island. A wagon-truck for rubble and chippings (a sesoula or scoop), a bend-corner and rails (from the quarry at Patela). Young visitors have the opportunity to see large marble rocks in their natural state, to feel their texture, and to observe their colour and crystals with a magnifying glass. The shaping, decorating and positioning of marble constructions. Particularly popular with children, but of interest for adults, too, are the demonstrations by local craftsmen on how marble is processed, which are organized at the museum following prior arraangement. The museum also organizes educational programmes with games and activities for schools and group visits. 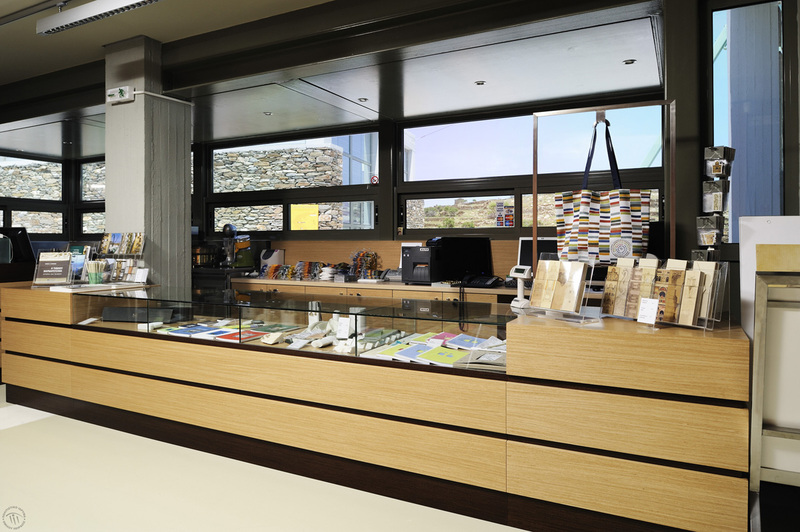 The Museum was created in the framework of the 2000-2006 South Aegean Regional Operational Programme. The Programme was funded jointly b the European Union (85%) and the Greek State (15%). Daily (except Tuesdays) 10 am - 6 pm. Daily (except Tuesdays) 10 am - 5 pm. Closed on: Tuesdays, January 1st, Good Friday (until 12 noon), (Greek Orthodox) Easter Sunday, May 1st, September 14th (local patronal feast), August 15th, December 25th and 26th. Concessionary ticket: € 2,00. Please, see here. Free admission: Please, see here. By sea from the ports of Piraeus or Rafina to Tinos Town (Chora) and then by car to Pirgos (26km) following the special road signs. For better service, it is recommended to give the Museum advance notice of group visits. If you are a teacher and would like to schedule either a visit or the participation of your school in an educational programme, please contact the Museum. After scheduling your visit, download the application form for an educational pack, which will be sent to your school free of charge. 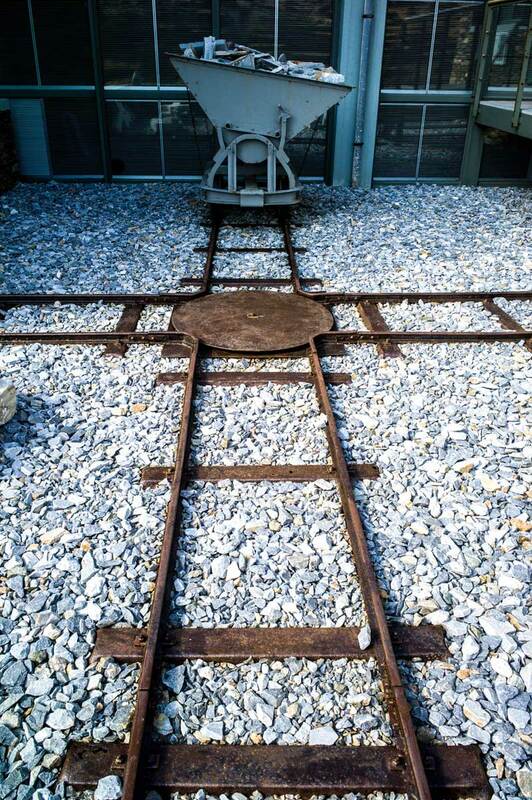 Admission for disabled visitors is free. For group visits, it is necessary to notify the Museum in advance. Amateur photography or video filming is permitted. Professional/commercial photography or filming is strictly prohibited without prior special permission from PIOP. Application for special permit. The Museum's premises can host academic, artistic and other events - activities, following the prior authorization of the request by PIOP.